Guess what? I decided to take the day off. Be sure to check back this Friday when I regularly publish the Indie Author Weekly Update of the week’s best pots in indie publishing. Until then, be sure to check out Joel Friedlander’s most recent Carnival of the Indies. 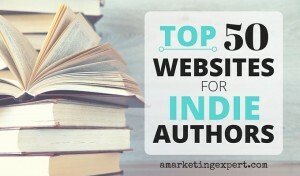 It was chock-full of super posts from experts in the publishing industry. Looking for even more information? Check out the blog at BookWorks. Some of the top indie publishing experts write for BookWorks.